In the game billed as a "mini-Rose Bowl," the 8-3 Wolverines came out smelling sweet on New Year's eve. Michigan's defense limited the powerful UCLA attack to 195 total yards and held the Bruins to just 33 yards on the ground. 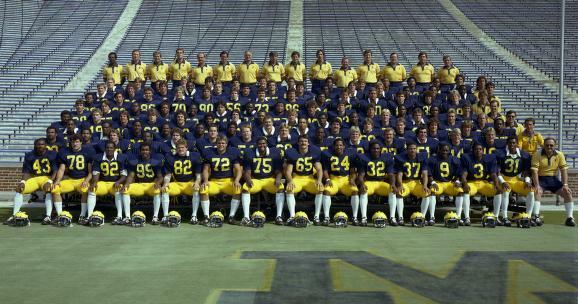 The Wolverines led the entire game, beginning with Ali Haji Sheikh's 24 yard field goal, set up by Butch Woolfolk's 52-yard run. With one minute remaining in the first quarter, quarterback Steve Smith spotted Anthony Carter behind the Bruin secondary, for a 50-yard scoring bomb that upped the lead to 10-0. Michigan dominated the rest of the half, yielding only 58 total yards to UCLA. But 12 penalties kept the Maize and Blue off the scoreboard the rest of the half. The Bruins narrowed the gap to 10 7, scoring on their first possession of the third quarter, but the Wolverines responded immediately, marching 52 yards before Haji-Sheikh kicked a 47 yard field goal, the longest of his career. 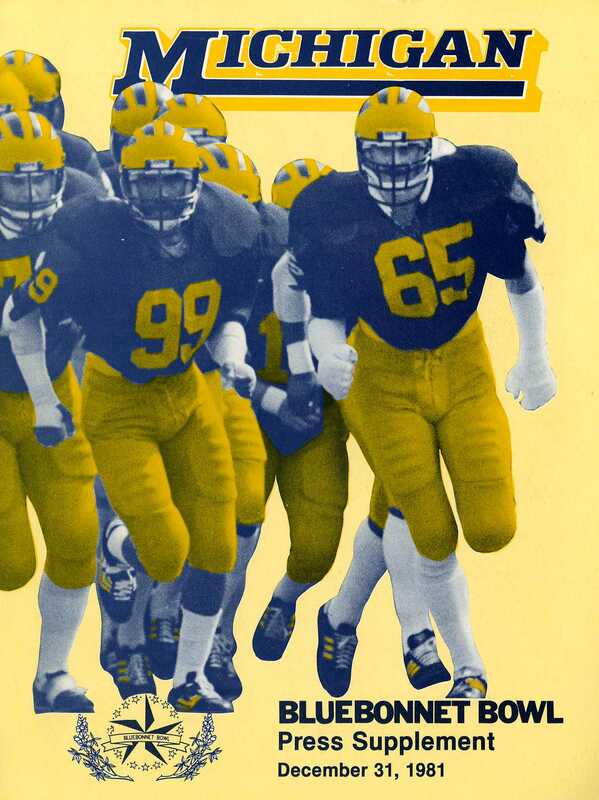 UCLA again drove into Michigan territory, but two penalties and Winfred Carraway's sack of Bruin quarterback Tom Ramsey ended the march, and the Pacific 10 runners-up never again had a chance to take the lead. The Wolverines moved 74 yards ending in Woolfolk's one yard TD run. After UCLA cut the lead to 19-14, Michigan drove 80 yards in seven plays with Smith scoring from nine yards out on the option play to clinch the victory. Reserve quarterback B.J. Dickey's touchdown run in the final minute iced the triumph. Woolfolk closed his brilliant career at Michigan by gaining 186 yards rushing, bringing his four-year total to 3,861 and earning game MVP honors. Smith's 152 passing yards gave him Michigan's single season record with 1,661 yards, and added to his total offense mark. 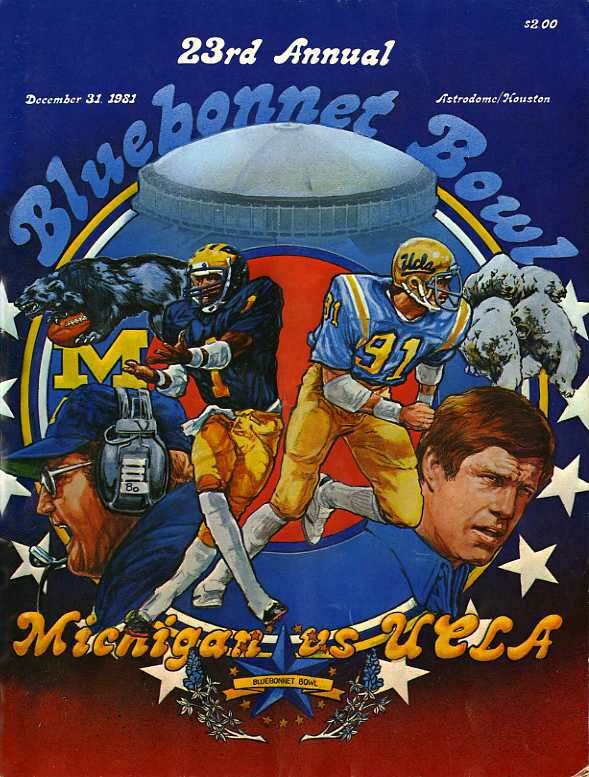 Anthony Carter grabbed six receptions for 127 yards, and the Wolverines left Houston looking forward to the New Year.